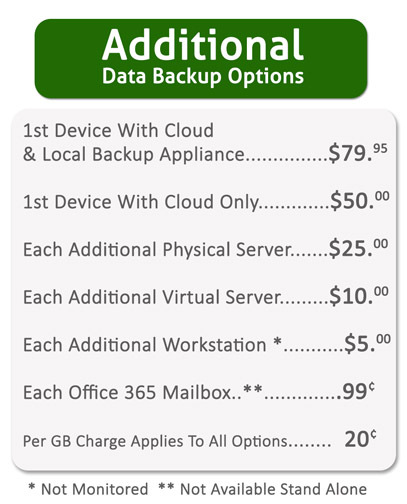 ﻿ Data backup and recovery greensburg pa - Greensburg pa, Paconnect - affordable data backup solutions. Disasters happen. Whether it’s accidentally deleted by user error or hardware failure, or intentionally destroyed by hackers, we have never been at greater risk for data loss. Get peace of mind knowing your files are backed up locally & securely in the cloud. Know at a glance the size of your backup and the types of files. Our backup solution is scaleable and can be tailored to fit your needs - Backup and store data, operating systems, exchange databases, mailboxes, SQL data or applications. Get peace of mind knowing your files are backed up locally & securely in the cloud.